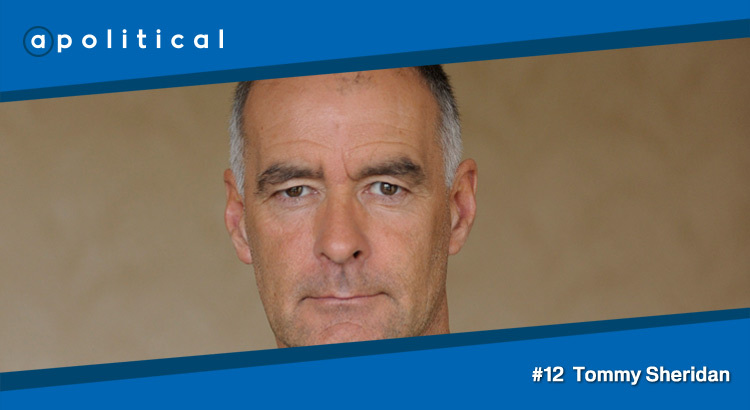 In Episode 12 of apolitical we speak with Tommy Sheridan, Co-convener of the Solidarity Party and a former MSP. We chat about his grounding in activist politics; his role in the anti-poll tax movement; Donald Dewar’s secret, last-ditch attempt to retain warrant sales; the rise and fall of socialist politics in the Scottish parliament; the fallout from his courtroom battles; and his hopes for the future. • His hopes for the future of Scottish politics.